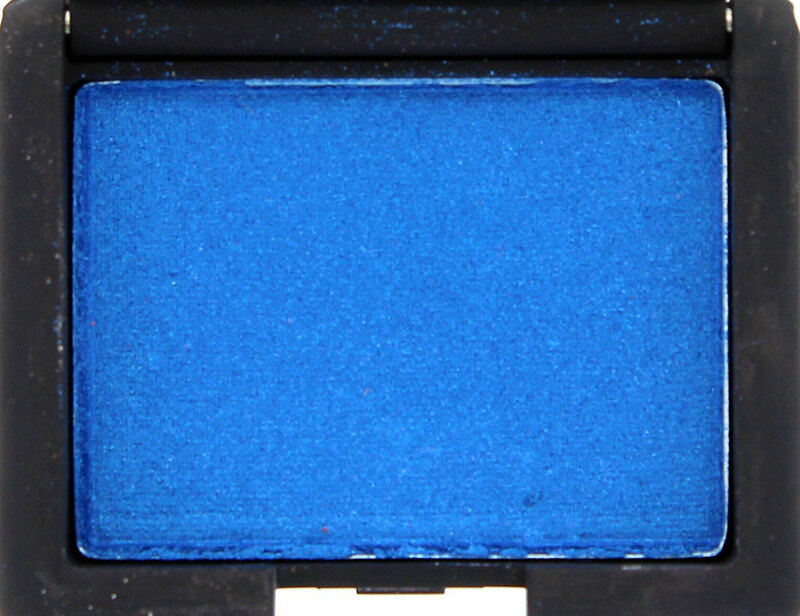 Cinematic Eyeshadow is a new formula that debuted in the limited edition NARS Guy Bourdin Color Collection for Holiday 2013. Wishful Thinking is a bright electric blue. Cambodia is a burnt orange red. 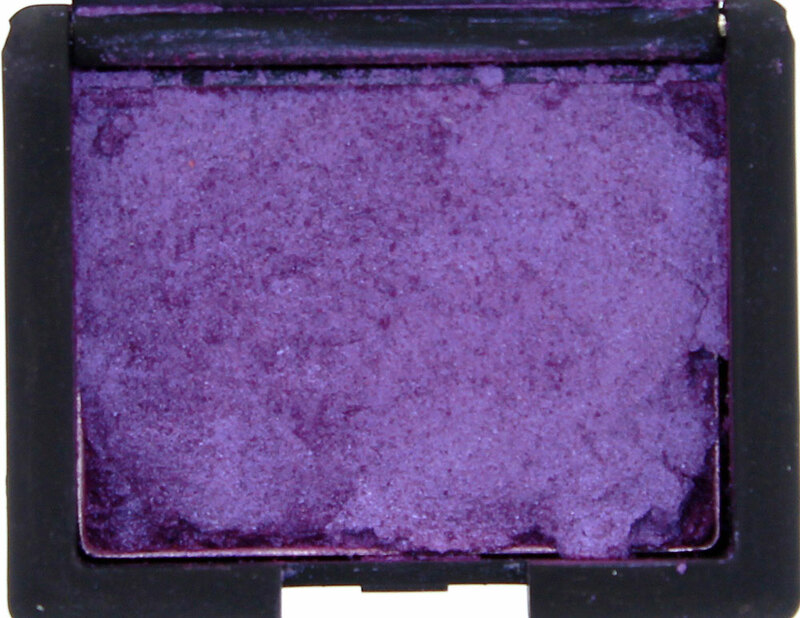 Rage is a pink-based violet. Bad Behavior is a cool-toned steel. 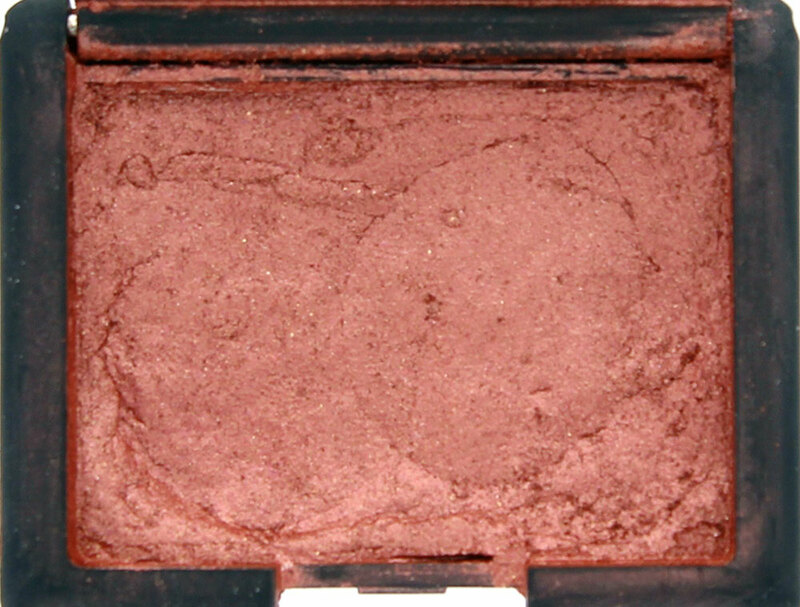 Mississippi Mermaid is a neutral champagne. 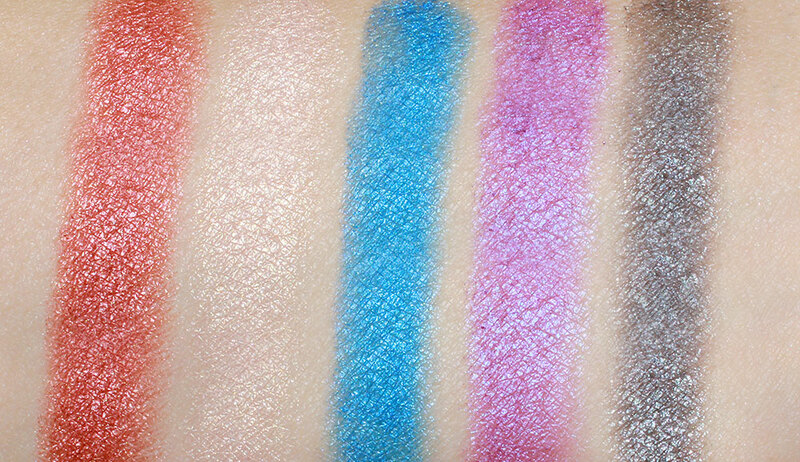 The shadows applied with great pigmentation and a metallic finish that reminded me of MAC pigments and Yaby Pearl Paint Eyeshadows. However, the texture was slightly crumbly and so fragile that 3 of them shattered completely on their way to me. I ended up having to salvage them with alcohol (hence the ugly, uneven patches you see). The wear though, was good. 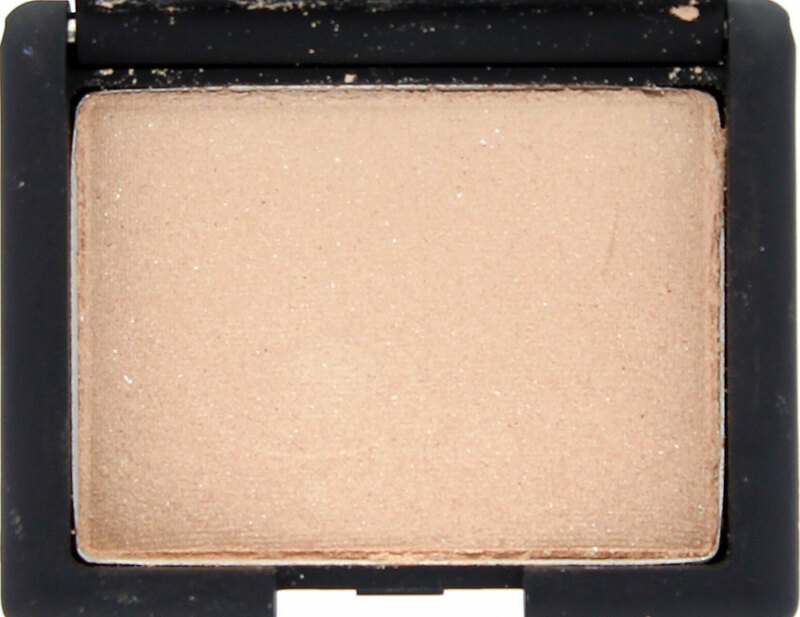 With my favorite NARS Primer underneath, the shadows survived over 8 hours without creasing or fading the slightest bit. You can also use them wet for a foiling effect. 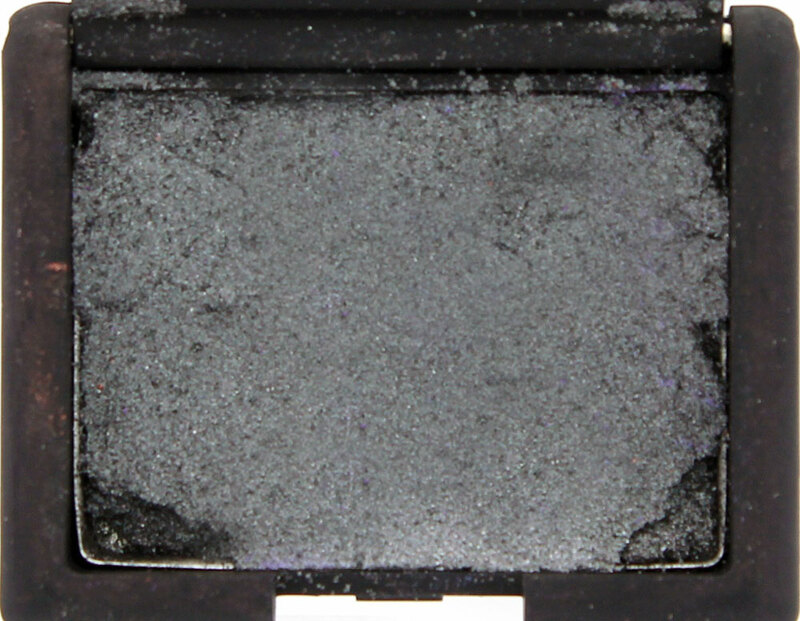 NARS Cinematic Eyeshadow is available at www.narscosmetics.com for $24. In nearly every blog I read that received these, they were broken as well! 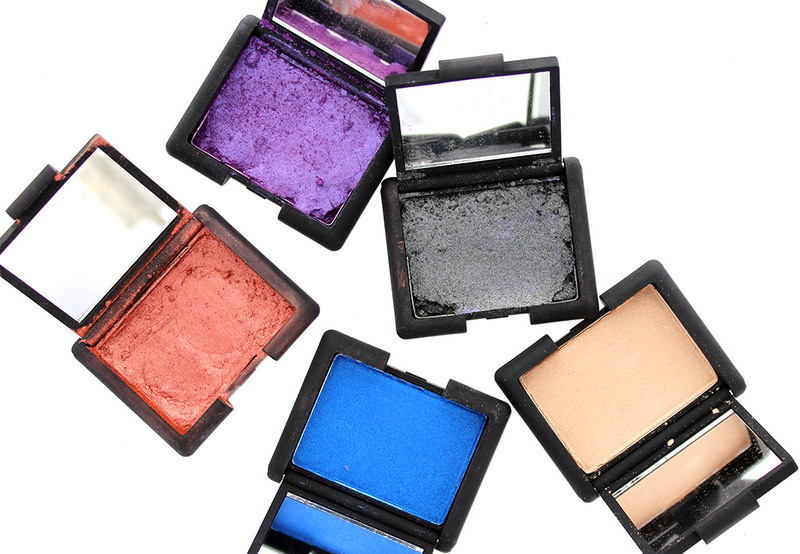 Yup I noticed that too… it’s a shame though since the colors are pretty and super pigmented.